Lip gloss addict Emerson Taylor and her best friend, Trina, have declared this year the Year of the Boy and vowed to find boyfriends. But for Emerson, there's just one problem: she can read the mind of anyone whose lips touch hers. It's totally creepy--and at first it seems like a curse. But Emerson soon realizes there are perks to her strange new talent--like the ability to steal secrets, memories, and most importantly, test answers. If Emerson doesn't bring up her grades soon, her days at private school will be numbered. 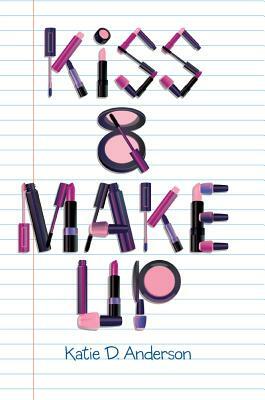 But kissing for grades is stickier than lip gloss, and Emerson's about to learn some lessons not found in her textbooks--lessons about true love...and real beauty. Oh, why can't life be as simple as choosing the perfect shade of lip gloss?